Earlier this fall, Reebok announced a new footwear technology called Flexweave - revolutionary shoe upper material that is incredibly versatile, providing a balance of lightness, durability, fit and stability. Reebok partnered with three designers across the world to create bespoke fitness prototypes to showcase this one-of-a-kind material. The design partnerships within this collective are known as "Woven into the Future" and includes an altitude-training mask from the UK design collective Modla (ENG) that showcases the material’s softness and durability, an “active seat” from Dutch collective Odd Matter (AN) that highlights its flexibility and strength, and GPS-enabled gloves by Joe Doucet x Partners (USA) to display the material’s customization and versatility. The Flexweave material will first be seen in the FAST Flexweave running shoe, available in February on Reebok.com, and the material was developed through the Reebok Innovation Collective (a division championing the open-sourced pursuit of progression via innovation and partnerships that aims to push the boundaries of invention). These partnerships with the global fitness brand explored the potential of Flexweave and explored its limitless potential to create a unique product that links form and function to create an aesthetic product that utilizes the benefits of the technology while serving a fitness purpose. Flexweave boasts an open figure-8 construction that interlocks unlimited strands of fibers to create a single surface construction that is as strong as it is light. All designers worked with the version of the textile that will appear in the first-generation of Reebok Flexweave footwear, launching in 2018, made from chenille yarn. As a designer, entrepreneur, inventor and creative director, Joe Doucet is one of the most sought-after creative talents in America. Doucet designed a pair of Reebok Flexweave running gloves, form-fitting to the wearers hand, absorbing sweat as they run and lightweight for maximum comfort. The prototype was designed with the vision of being GPS-enabled, guiding the wearer through their run with flashing LED lights to indicate when to turn left or right. “My inspiration was to capture the unique qualities of the Flexweave technology through something advantageous to an active lifestyle. The strength, flexibility and multi surface durability of Flexweave led me to the idea of a ‘smart’ running glove with a sleek, stylish silhouette. With the form crafted by Flexweave, the next stage of development would be GPS integration paving the way to a new frontier in wearable technology,” said Doucet. Odd Matter is a design studio driven by curiosity; researching, creating and exploring the world through its materials, processes and concept. The duo created a furniture series of ‘active sitting’ chairs; made through a combination of Reebok Flexweave and malleable EVA foam. “The Inspiration for the chair came from the Flexweave material itself. Whilst experimenting and playing with the fabric we were very intrigued by its behavior, structure and strength under tension. From there we wanted to create an object that played with that tension, a bit like the string of a bow, something in which the tension and strength is palpable,” said Els Woldhek, Odd Matter. Co-founded by Jon Fidler and Richard Goddard, Modla is an artistic design house specializing in technological innovation, pushing the creative boundaries of 3D printing and digital 3D design. The pair created an entirely new Reebok Flexweave altitude training mask; 3D printing the valve technology across the nose and mouth, coupled with a Flexweave facial strap to comfortably wrap around the wearer’s face during intense training. "I do a lot of high intensity training so I’m interested in how such equipment works, functions and can help improve performance. But we also saw the potential in the aesthetic of the Flexweave material, to create something which would blend with the mask and align with the contours of the wearer’s face. As it happens, the Flexweave material provided even more benefit than just the aesthetic and was amazing to work with. It’s strong and durable, so perfect for a product that will get a lot of wear and tear; while also incredibly lightweight, making it breathable on the face for athletes when training." said Fidler. “Flexweave is going to a major part of the Reebok DNA moving forward. With this creative and imaginative project, we’ve achieved exactly what we set out to do; demonstrate through collaborations in other fields what Flexweave can truly achieve when put to the ultimate test,” said James Woolard, Global Marketing Director, Reebok Running. “The Reebok Innovation Collection champions the pursuit of partnerships and innovations that will continue propelling the brand forward in spaces like fitness, fashion and footwear. Flexweave represents a huge step forward in footwear upper technology and brings with it a wave of anticipation and excitement for what the future holds for this brand”. Reebok has extended the creative experience around Flexweave to its community, setting up an interactive digital experience on the Reebok Innovation Collective website called ‘Create Your Weave’; inviting you to construct your own virtual weave design and share it with friends. The brand is also working with one of Savile Row’s finest tailors, Huntsman & Sons, to create a bespoke men’s suit made from Flexweave. Designed for Reebok Running ambassador and superstar WR Brandin Cooks, the experimental pursuit will be complete in Spring 2018. 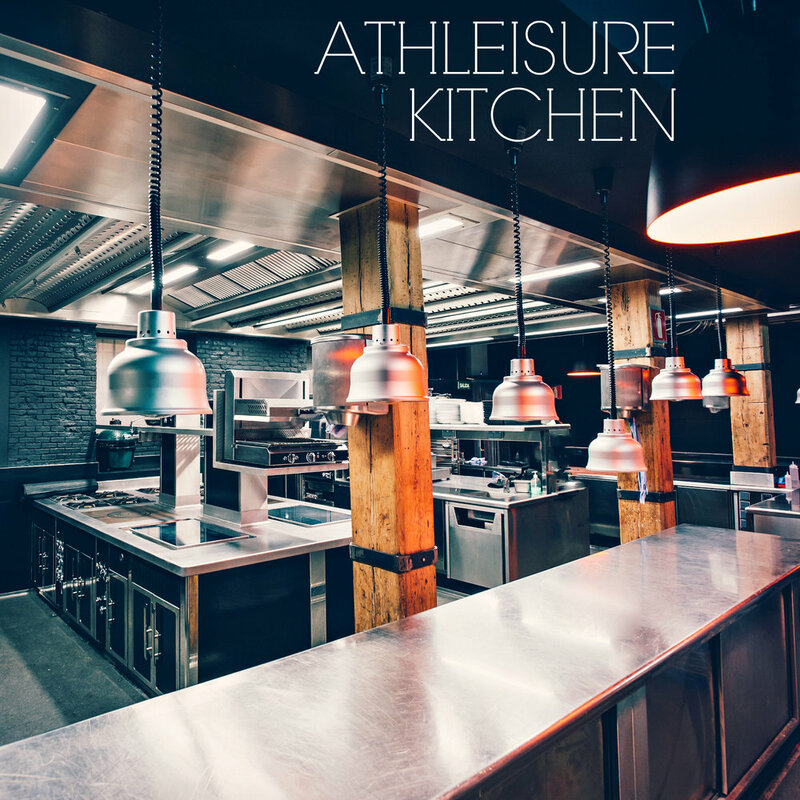 Missed the Dec Issue of Athleisure Mag? Check out our cover girls EDM DJ duo NERVO. DAVID CHANG | NIKE SB DUNK HIGH "MOMOFUKU"